This Smokey Colored Glass Menorah Is Decorated With Colorful, Geometric Pieces Of Fused Glass. 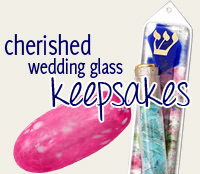 Each Menorah Is Handcrafted By The Tamara Baskin Art Glass Studio. This Menorah Is 15" Wide x 8" Tall. The Tamara Baskin Art Glass Studio Handcrafts This Fused Glass Dreidel Menorah. 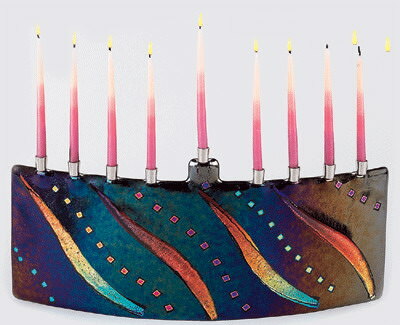 The Menorah Is Available In Cobalt Blue Glass Or Red Glass. Each Menorah Is 8.5" Wide x 7 3/4" Tall. As Each Piece Is Hand Made And Unique, No Two Will Be Exactly Alike.